﻿ Pigeon and Bird Repellent - What deterrent works? Pigeon and Bird Repellent - What deterrent works? Bird Repellent - There are many different types of ways that people can use to drive birds away or to prevent birds from landing or roosting on the roof or on the windowsills of a building, and one of the methods that is available is to use a bird repellent. There are a variety of different products available, but a repellent is effectively a substance or device that aims to drive the birds away without any physical contact between it and the bird. These products can vary in effectiveness, and some people will eventually find themselves moving on to other products to try and deal with the bird problem, but here are a few of the different types of bird repellent that can be tried if you want to use this type of product. Many people have tried to use chemicals to get rid of birds, and there are a range of different types of chemicals available too which can be applied to particular surfaces or areas of a roof or window sill that are naturally attractive to nuisance birds. One of the most common types of chemical repellent can be applied as a gel using a caulking gun, and uses Polybutene as the active ingredient. There are also powder repellents available, which can be particularly useful if you are having bird problems on a vegetable patch as it can be spread on the soil, but on window sills and roofs, this can be a problem as the powder can be blown away. Liquid repellents are also available, which are usually fairly tacky so that they stick to the surface they are trying to keep the birds away from. There are plenty of different ways that people can use to try and keep birds away, and one of the most interesting is to use motion activated lights or spotlights that activate when the bird goes into the problem area. Another common recipe is to combine some strong chilli peppers with water, either red or green, and then to leave these for several hours or days in a glass jar, or heat them in a crock pot on a low temperature so that the chilli pepper fully infuses in the water. Once this solution is ready, it can be sprayed over the area where the birds are proving to be a problem, but as this is natural, it will often fade more quickly than chemical repellents. Another type of bird repellent that has seen significant growth over recent years is in the audio repellent, and the key feature of these devices is that they usually emit a tone that is not within the human range of hearing, but claims to be very uncomfortable for the birds. These devices can come as one unit with a speaker, or you can also find larger systems that come with several speakers that can be used for larger areas. When it comes to the costs of installing this type of system, they can range from lower end units retailing at around twenty dollars up to large systems aimed at agricultural or factory areas which can cost several thousand dollars. Why Are Repellents Often Ineffective? The biggest problem that repellents have to overcome in order to be successful is that birds need to find the repellent so unpleasant or irritating that they would prefer to go elsewhere. The factors to consider are that birds will often be drawn to areas by the possibility of a roosting spot or an useful food source, so if that attraction is greater than the discomfort caused by the repellent, they will usually continue to return to the same spot. There is also a situation where some repellents might work on some birds and not on others, but because the industry isn't appropriately regulated and the effectiveness of repellents isn't measured, it can often be difficult to find out which products are most likely to work. There are other methods to deal with a bird problem, and these will usually be significantly more effective than the unreliable repellents that are a common starting point for those with a bird problem. 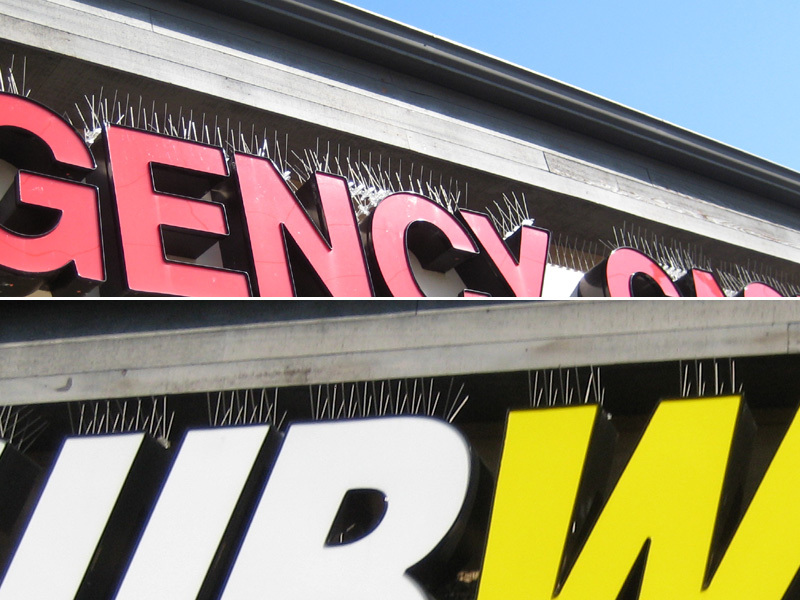 While chemicals and substances can be used as a repellent, using physical repellents such as bird spikes can actually prevent the birds from landing there, which can be very effective when the appropriate spikes are chosen. 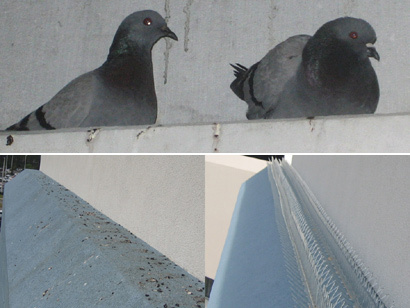 It is also possible to install a layer of anti-bird netting over a roof, in the rafters of a large building or even over a crop if the birds are creating a problem, and while the birds may want to try and get to the area where they cause a problem, a good net can help to drive them away and prevent them from causing the problem. Go back to the main Pigeon and Bird Removal page for more information about bird repellent such as bleach, ammonia, mothballs. Can you buy something at Home Depot to repel bird?